The EU Farm Chief has raised the money on offer to farmers struck by the E.Coli crisis in Germany from €150 million to €210 million. THE EUROPEAN UNION has increased its offer of compensation from €150 million to €210 million to struggling farmers left with tonnes of unwanted produce rotting in fields and warehouses as Europeans shun vegetables, fearing they are contaminated with a deadly strain of E. coli. The EU Farm Commissioner Dacian Ciolos had originally offered €150 million but under pressure from big producers like Spain, Italy and France, he was forced to offer more help. More funds must be made available to help pull the sector out of this deep crisis. 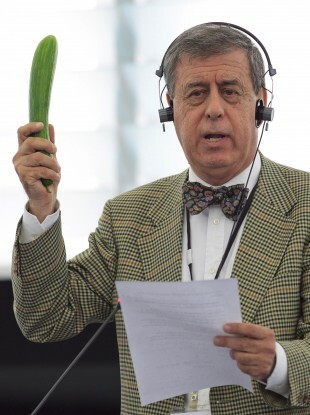 Ciolos said he came up with a better offer because he included zucchini and peppers on top of his initial offer for cucumbers, tomatoes and lettuce. He said the funds would be covered by the existing EU farm budget. At least 26 people have now died since May 2 in the world’s deadliest known outbreak of E. coli, and over 2,700 have been sickened by the bacteria. No cause for the outbreak has yet been found. Germany officials say they think the worst may be behind them after a slight drop in the number of infections was reported. Email “Outcry by farmers prompts the EU to raise compensation for E.Coli crisis”. Feedback on “Outcry by farmers prompts the EU to raise compensation for E.Coli crisis”.